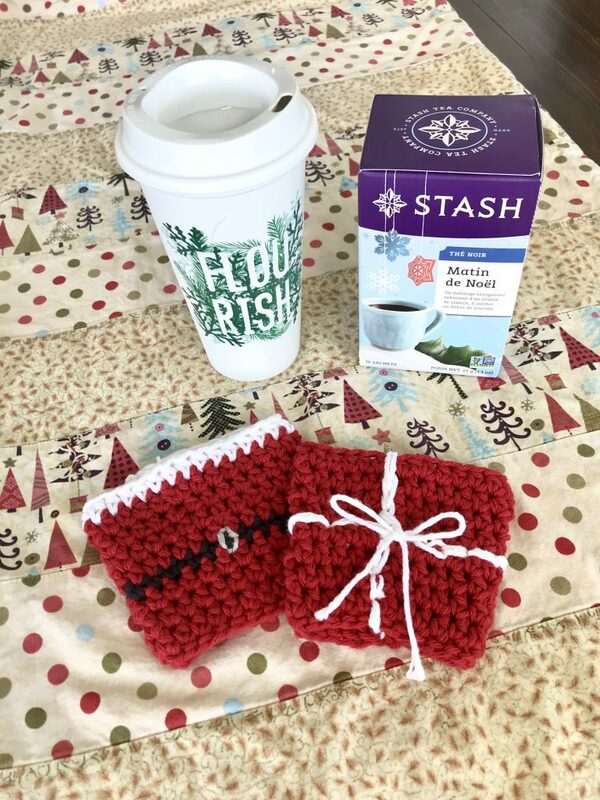 Protect your hand and keep your coffee warm with one of these great accessory sleeve. They will add a festive flair to your day! 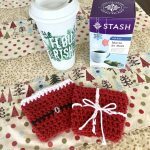 This Santa and Gift coffee sleeves make fun holiday gifts or stocking stuffer for anyone! 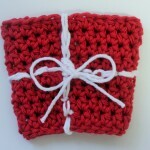 Perfect for a Secret Santa gift. 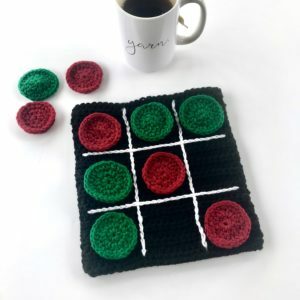 Crochet several for the season! 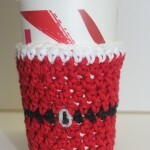 This crochet pattern contains instructions to crochet a coffee sleeve/cozy in the Santa and Gift styles. 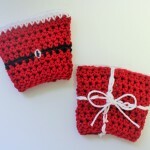 I crocheted these coffee cozies using 100% cotton yarn. 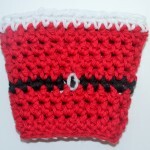 They will fit most standard size disposable coffee cups. It is shown on a Starbucks re-useable coffee cup. 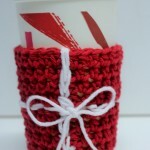 Bonus – this sleeve will also fit soda cans. 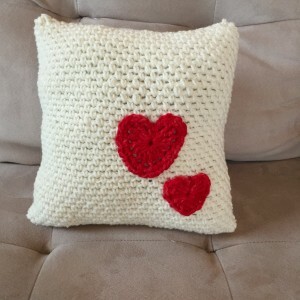 You’ll need an K Crochet hook and your favorite worsted weight cotton yarn in red, white, black and a little silver or gold.